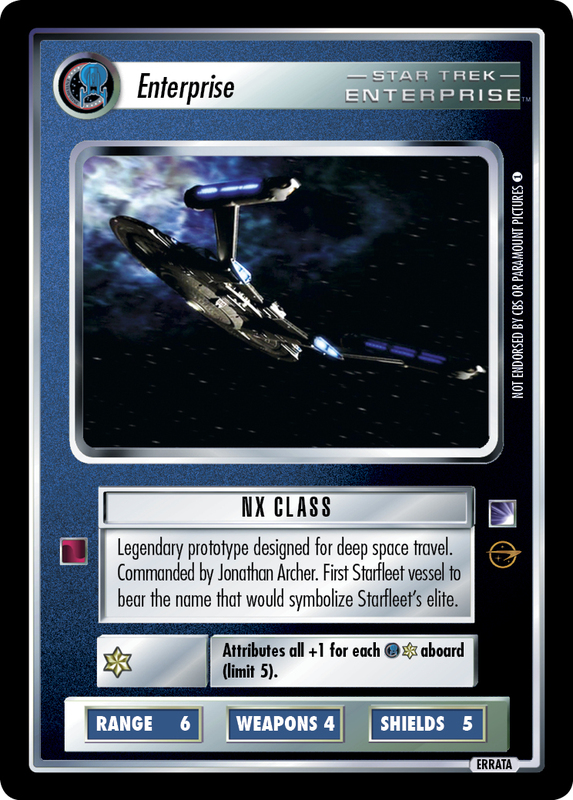 Legendary prototype designed for deep space travel. 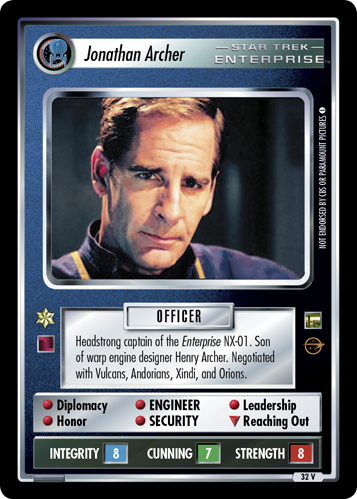 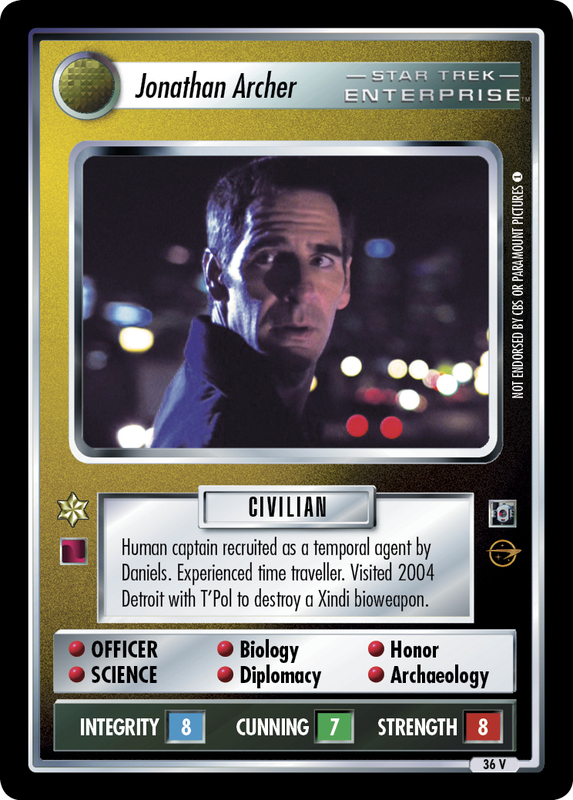 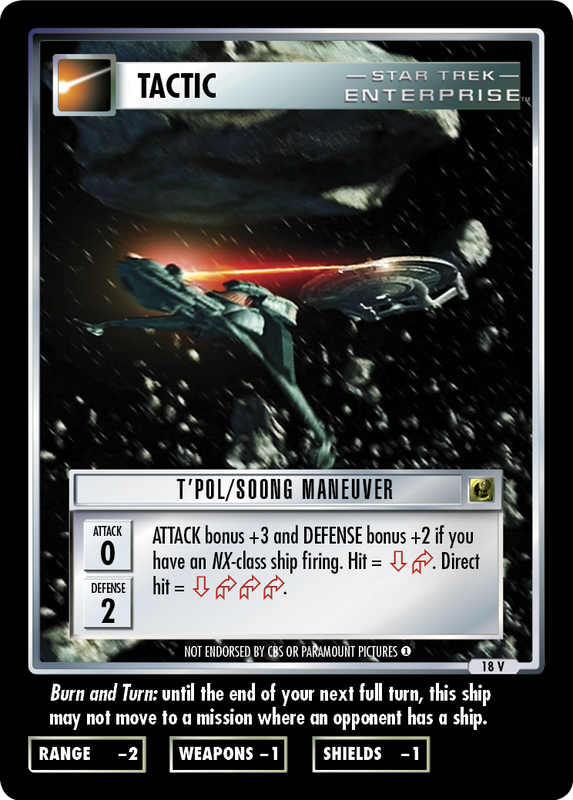 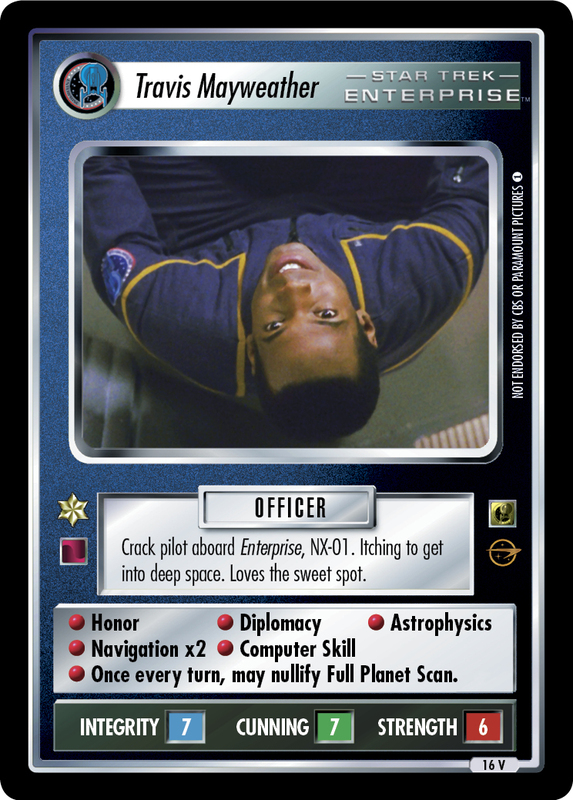 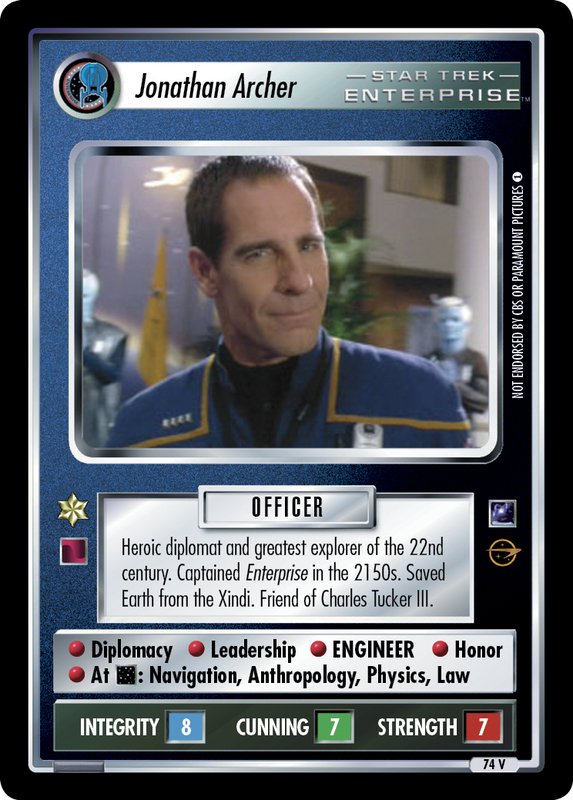 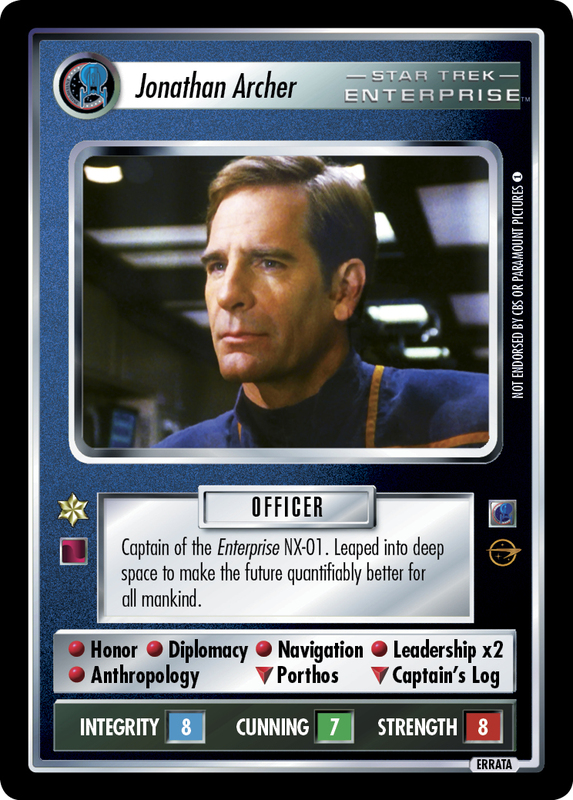 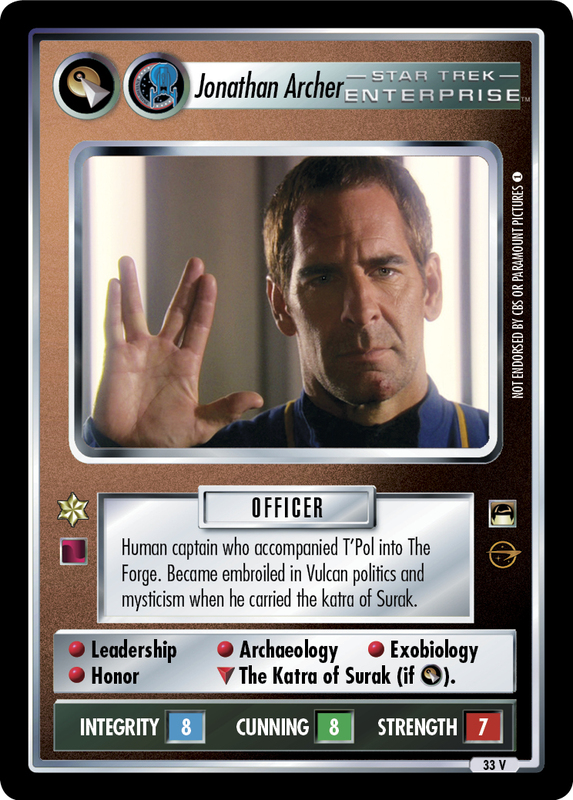 Commanded by Jonathan Archer. 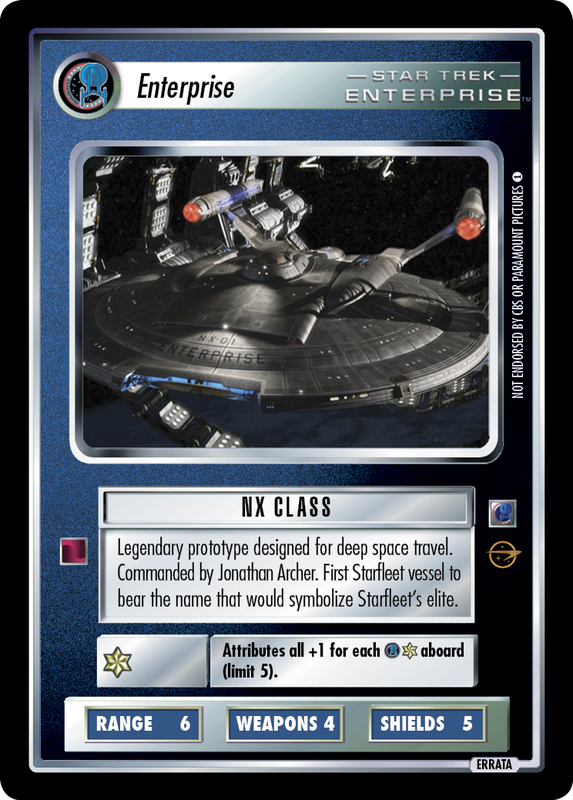 First Starfleet vessel to bear the name that would symbolize Starfleet's elite. 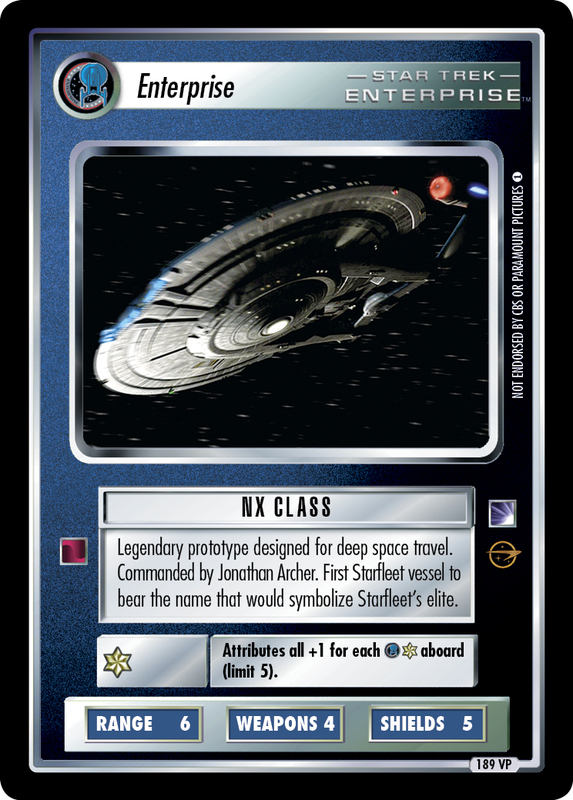 Attributes all +1 for each aboard (limit 5).